Engaging and informing patients about the disease, therapy, and lifestyle is the cornerstone of effective multiple sclerosis care. Shared decision-making is a complex spectrum that encompasses treatment as well as lifestyle and environment factors. While shared decision-making emphasizes the role of the patient as well as the provider, ultimately the provider is guiding that relationship. It is up to providers to educate patients about the disease pathology and make recommendations based on knowledge and experience, risk factors, genetic factors, potential triggers, and a host of other elements. The educated patient is often better able to make informed decisions about how they want to live their lives and what they want to do in terms of trying to be as healthy as possible in the face of a chronic progressive disease like MS.
With respect to therapeutic decisions, multiple treatments options are available, and each of these treatments comes with a different mechanism of action. Matching an ideal treatment for an individual patient is often a great challenge given the complexity and variability of MS. Providers often make the best selection based on experience and knowledge about the available therapies. After reviewing and educating patients about the available options, clinicians should take time to listen to the patient and learn about their values and preferences, as these should be taken into account during consideration of optimal treatment. Often, the education process is ongoing, because new therapies are coming out all the time and just because something is new doesn’t mean it’s better in any one individual person. Therefore, it is the clinician’s responsibility to help patients understand the nuances of their disease and treatments. The more patients are involved in shared decision-making, the more likely they will be adherent to the therapy and lifestyle recommendations we might be making for them. In addition to the many complexities and ever changing nature of MS, the biggest obstacles providers face with regards to engaging the patient in shared decision-making is time. In the modern healthcare environment, the reality is that neurologists simply don’t have time to delve into all aspects of MS care from the outset of the physician-patient relationship. Providers will often have an evidence-based discussion with patients about symptoms management based on what they are experiencing. We may also give a general overview of the disease, but often our job is to understand the mechanism behind the symptoms and the best approach to management. Shared decision-making guided by providers can help patients understand the benefits and risk of their options. It also helps to clarify patients’ values and preferences, which will impact treatment and lifestyle decisions. For optimal shared decision-making, spending time listening to patients and finding out what they know or think they know and then educating them appropriately based on that is essential. To ensure patients are well informed about treatment and lifestyle, often what’s needed is a comprehensive team approach to care. This entails the patient having access to not only a neurologist but also to a nurse or physician assistant, as advanced care providers may have more time to spend to delve into some of these specific issues, particularly related to symptom management. 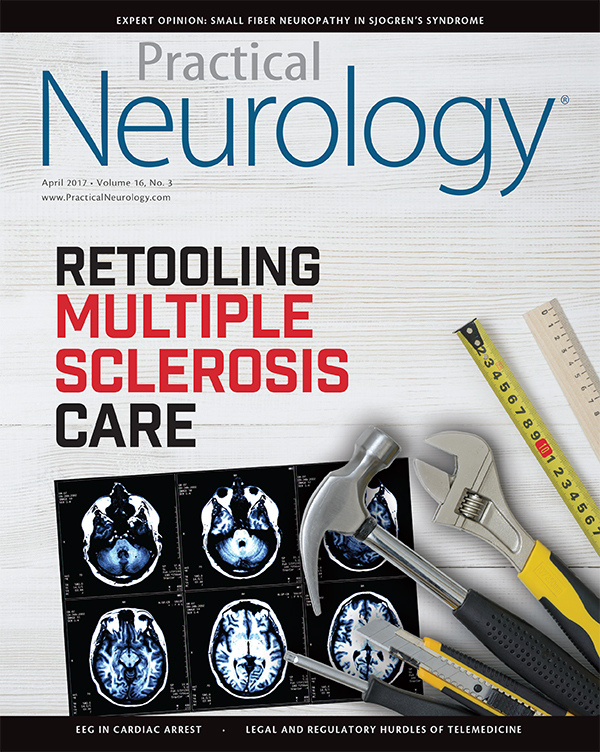 Comprehensive MS centers are equipped to offer these options to patients, but private practices can also incorporate some of these elements to enhance the care of their patients. A comprehensive team also involves primary care providers, since people with MS need blood pressure checks, laboratory tests, management of upper respiratory infections, and pap smears or prostate evaluations. Physical therapists, occupational therapists, podiatrists, and speech therapists also play a role on the care team. Providers of MS care also rely on other healthcare partners—psychiatrists, urologists, nutritionists, and pharmacists—for the various challenges that may come along as people with MS age. Not all of these providers are necessarily under the same roof, but often a nurse coordinator or nurse case manager can help to coordinate and facilitate communication between the different providers. Of course, not all patients or providers have access to the options available through a comprehensive MS center. Nevertheless, all providers who care for patients with MS should have a nurse coordinator or case manager who not only spends the time discussing symptom management, side effects, etc., but also can connect patients to providers and resources they may need. The other important function of a nurse coordinator is to share a dialogue with patients and guide them through the care process. Some patients expect a quick fix for a given symptom, but the reality is that a pharmacologic fix may not be the best first option. Providers should look at the individual and their lifelong experience with the symptoms and then make care recommendations accordingly. First, it’s important to find out how the symptoms are affecting patients and to whom the patient should be connected for more assistance. For example, a physical therapist should be involved in the care of patients experiencing spasticity. If the spasticity involves upper extremities, occupational therapists should be engaged. It’s important to also have a discussion with patients about the triggers for spasticity, such as overheating or tight clothing, along with other practical tips that patients can use in their daily lives. Sticking with the spasticity example, pharmacological considerations are also likely to involve many factors, as there are many options and delivery mechanisms that can be combined with stretching and/or physical therapy, based on the unique needs of patients. Manufacturers of disease modifying therapies have support programs that give patients access to resources including co-pay assistance, benefits investigation, as well as access to nurses who are available around the clock to answer MS related questions and offer assistance. While these nurses are bound by the restrictions of their own company, some of them actually take the role of case manager and assist patients and families with questions and raising issues that patients should be discussing with their physicians. To access these manufacturer resources, health care providers and patients simply need to complete and submit a service request form to the company. These forms serve as the initial prescription and provide the companies with insurance information so a benefits investigation can begin. One resource that nurse coordinators or nurse case managers may find particularly beneficial is a quarterly newsletter called “Counseling Points: Enhancing Patient Communication for the MS Nurse.” Headed up by series editor Amy Perrin Ross, the newsletter offers complimentary continuing education credit for nurses and covers a wide range of topics related to strengthening patient communication. Ahead is a brief excerpt from the Winter 2017 edition. • Discussing patient and family expectations is an essential part of shared decisionmaking and patient communication in MS care. • Patients may view the goals of therapy differently than clinicians, who often think in terms of MRI results or in-office tests. People with MS tend to describe goals relating to feeling better, keeping their jobs, and caring for their families. • Most patients want to know how the current advances in MS management apply to them. The MS nurse needs to remain positive and hopeful while providing realistic and accurate information about available therapies and clinical trial findings. • Although a disease-modifying treatment (DMT) should be started soon after diagnosis, it is best to avoid rushing into an initial choice before the person is ready. The patient should be allowed to absorb the information with his or her family or support system and think about the options more concretely. • With the excitement over advances in RRMS, progressive MS may seem overlooked. Many ongoing research studies are exploring novel therapeutic options specifically for this population. Symptomatic and rehabilitation therapies should be pursued for these patients. • Unrealistic expectations about therapy are a major cause of medication discontinuation and nonadherence. Nurses should explore reasons for nonadherence using a nonjudgmental, collaborative approach. • Nurses who treat patients with MS need updated knowledge of MS therapies and issues relating to balance of safety and efficacy in order to effectively counsel patients and manage patient/family expectations. The individual preferences and values of patients play a significant role in their care. If health care providers recommend something that doesn’t fit with what patients know they can do, they may not adhere to the regimen. Moreover, providers should not make assumptions about an individual patient’s preferences and values, as sometimes they are not what we expect. Discussing patient preferences, educating them about appropriate options, and keeping cultural differences in mind is of utmost importance for successful treatment outcomes. Optimum decisions about care are based on evidencebased information about available options, knowledge and experience, and patient’s values and preferences. It’s important to speak frankly and start where patients are comfortable. Ask them their thoughts based on what we’re recommending and then ask directly whether they feel comfortable with pills, injections, etc. Pharmaceutical support programs can also be of assistance for patients who would like to learn more about the differences between a weekly shot, a daily pill, or a once monthly infusion. The most important aspect of shared decision-making is engaging the patient in a conversation about their disease and their perceptions. This allows providers to educate patients and provide advice based on their individual preferences. The more providers know early in the disease process, the better off everyone will be when making decisions about treatment and lifestyle. Sometimes, balancing patient desires with the best clinical path can be a challenge but is often made easier when providers and patients are engaged in shared decision-making. Ultimately, exploring different options and ways of managing life with MS is the best path to optimal management. Individuals with MS should live their lives to the fullest despite challenges their disease may give them. As providers, we are here to help them navigate those obstacles, and patients should know that we are willing to be their partners and that they are not alone in the day-to-day management of their disease. This can be labor-intensive in the beginning of care, because patients are understandably scared about new symptoms, etc., but the more they feel they are supported, the more comfortable they are to manage their own disease and feel empowered to make decisions about their care and their lives. Amy Perrin Ross, APN, MSN, CNRN, MSCN is a board-certified Neuroscience Nurse and is the Neuroscience Program Coordinator at Loyola University Medical Center in Maywood, Illinois. 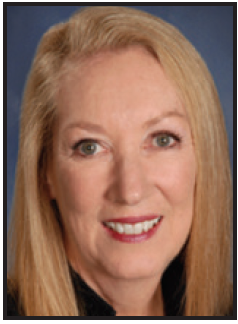 She is also a member of the board of directors for the Consortium of Multiple Sclerosis Centers. 1. Elwyn G, et al. Shared decision-making: A model for clinical practice. J Gen Intern Med. 2012 Oct; 27(10): 1361-7. EEG findings are helpful at either end of the spectrum, but more research is needed before it can be used more broadly to determine prognosis for patients with cardiac arrest. The addition of a potential breakthrough agent may change the treatment arena, but wellness and early treatment remain the foundation of effective care.